UTE offers a wide range of genuine CAT parts options and holds a massive inventory of locally stored parts to support customer requirements. We are also able to access the large international Cat parts and dealer networks – providing further confidence to our customers that genuine parts are always available to keep your machine or power system moving, where-ever you are. 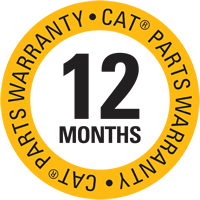 Cat® PartStore™ makes it quicker and easier to buy your Cat parts online. Simply register, find the parts you need, calculate delivery and order at the touch of a button. PartStore is the fastest, easiest and most economical way to order Cat parts. No more wasted time. You can get exactly what you need, so you can keep your equipment running and on the job. Your Cat machine knows peak performance and reliability comes from using genuine Cat parts as they are manufactured to meet the most stringent standards and specifications of your Cat machine, which means they protect like no other brand. Backed by a dedicated team of support specialists and a 12-month warranty term, insisting on genuine Cat parts to extend the lifecycle value of your equipment and to maintain its peak performance is a smart business decision and will help you get the most from your equipment investment. Branch Offices in Anuradhapura, Panchikawatta Mahiyanganaya and Matara & Puttalam. Unmatched manufacture of parts for ageing machinery – Caterpillar manufactures spare parts for equipment that is even 50 years old, resulting in the longest life of equipment of any manufacture.